Agricultural inoculants are also known as microbial inoculants and soil inoculants. Agricultural inoculation is the process of inoculating the beneficial micro-organisms such as bacteria, fungi and others to promote the plant health. Agricultural inoculants digest the soil mineral reserves and breaks down the residues to create plant available nutrients. Agricultural inoculants form the symbiotic relationship with the plant and soil for the mutual benefits, biofertilizers and provides nutrients and minerals that are beneficial for the plant growth. Increase in the global population increasing the food requirements worldwide. Thus, there is demand for production of the healthy crop with the increased output is generated. According to the United Nations Department of Economic and Social Affairs estimates that world population expected to reach 8.1 Bn by the year 2025. 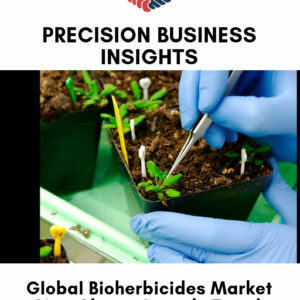 Aforementioned factors expected to boost the global agricultural inoculants market over the forecast period. 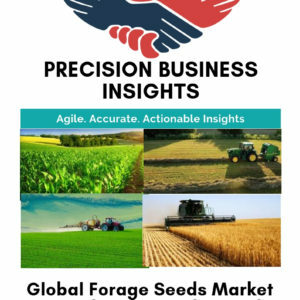 Furthermore, advancements in agricultural microbial inoculants, rise in environmental concerns and adaptation of the eco-friendly forming are expected to bolster the market share over the forecast period. However, disadvantages such as shelf life and lack of awareness are expected to hamper the market growth during the forecast period. The major market participants are adopting the strategies such as mergers and acquisitions to position themselves as a strong player. For instance, in April 2015, E. I. du Pont de Nemours and Company inked an agreement to acquire microbiome discovery company for development of biological crop products, Taxon Technologies Inc., to gain advantage in emerging agricultural market. Furthermore, collaborations and product developments are also key strategical approaches adopted by the companies to expand their product portfolio and develop the innovative products. For instance, in December 2016, BioAg Alliance, Monsanto Company, and Novozymes launched their new product, Corn Inoculant Acceleron B-300 SAT, to increase the plant ability to take up the nutrition and growth. BioAg alliance is formed by the two companies, Novoenzymes and Monsanto to develop new microbial solutions for agriculture. Geographically Agricultural Inoculants market is divided into five key regions, i.e. North America, Europe, Asia- Pacific, Latin America, and The Middle East and Africa. North America agricultural inoculants market is expected to have notable share owing to the factors such as increase in adaptation of environment-friendly farming, raising concerns about environment and technological advancements in inoculation technologies in the region. Europe agricultural inoculants market is expected to grow at significant rates owing to the rise in the demand for the quality food crops for increasing population, growing demand for the organic food coupled with the growing awareness among the formers. Asia Pacific agricultural inoculants market is expected to be fastest growing owing the rise in the awareness and adaptation of organic or eco-friendly farming in the countries such as India and China. In March 2014, Bayer AG acquired Laboratorios BIAGRO S.A. through its subsidiary Bayer CropScience. This acquisition will adds on to the Bayer CropScience portfolio to strengthen its market position.